Supermicro Shows New Twin Server Solutions at HPC Asia in Taiwan – Throughwave (Thailand) Co.,Ltd. SAN JOSE, Calif., March 3, 2009 – Super Micro Computer, Inc. (NASDAQ: SMCI), a leader in application-optimized, high-performance server solutions, today showcased the latest additions to its Twin Server family of products at HPC Asia 2009 in Kaohsiung, Taiwan. These solutions are optimized for high-performance computing (HPC) with industry-leading performance-per-watt (375 GFLOPS/kW*) and performance-per-dollar. Supermicro is displaying its award-winning 1U Twin™ SuperServer that has been optimized for next-generation Intel Xeon processors, a 2U Twin2 SuperServer with four hot-pluggable dual-processor (DP) Xeon computing nodes in a 2U chassis, and a high-density SuperBlade® system with 14 DP Xeon computing blades in a 7U chassis. Supermicro was chosen for a number of prestigious HPC projects with optimized 1U Twin and SuperBlade servers in 2008, including the CERN Large Hadron Collider (LHC) Project in Geneva and the Hyperion Project at the Lawrence Livermore National Laboratory (LLNL). For the Hyperion Project, LLNL teamed with Supermicro and nine other computing industry leaders to accelerate the development of powerful next-generation Linux clusters by developing an advanced technology cluster testbed. 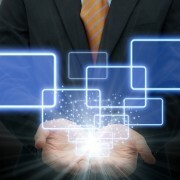 According to LLNL project leader, Mark Seager, “Hyperion represents a new way of doing business. Collectively, we have built a system none of us could have built individually. The project advances the state-of-the-art in a cost-effective manner, benefiting both end users, such as the national labs, and the computing industry, which can expand the market with proven, easy-to-deploy large and small scale Linux clusters.” Mr. Seager is attending HPC Asia 2009 and will be a featured speaker during the keynote address at 11am on March 4th. Supermicro Server Building Block Solutions® offer exceptional flexibility and outstanding feature advantages. 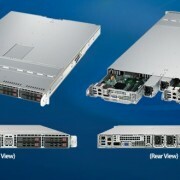 For more information on Supermicro’s complete line of server and workstation solutions go to www.Supermicro.com. 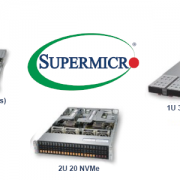 Established in 1993, Supermicro emphasizes superior product design and uncompromising quality control to produce industry-leading serverboards, chassis and server systems. 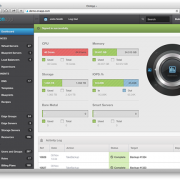 These Server Building Block Solutions provide benefits across many environments, including data center deployment, high-performance computing, high-end workstations, storage networks and standalone server installations. For more information on Supermicro’s complete line of advanced motherboards, SuperServers, and optimized chassis, visit www.Supermicro.com, email Marketing@Supermicro.com or call the San Jose, CA headquarters at +1 408-503-8000. Supermicro, SuperBlade and Server Building Block Solutions are registered trademarks and 1U Twin and 2U Twin2 are trademarks of Super Micro Computer, Inc. Other names, brands and trademarks are the property of their respective owners. * Peak performance-per-watt and power efficiency figures based on internal test results.